Once, when the United States went to war, that war was felt by everyone in the country. The wars’ effects seeped into every facet of American life. The primary reason for this was the draft. Selective service meant that anyone in America could be called up to serve and fight a war at any given time. This included movie stars, politicians, and even star athletes — some of whom never made it home. 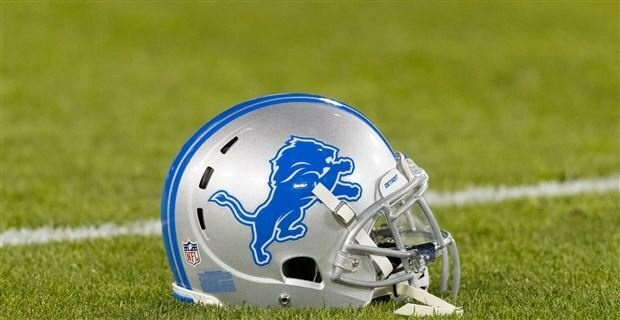 When Spring Training rolls around, we’ll remember the MLB players we’ve lost but, for now, let’s take some time during the NFL’s Salute to Service Month to remember those players who were also our brothers in the profession of arms. This is a list of those who died in combat; the list of the NFL’s veterans is much, much longer. 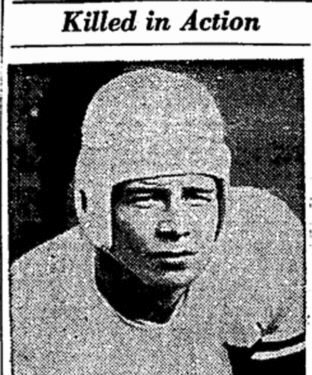 Young was a big-time athlete out of Oklahoma. 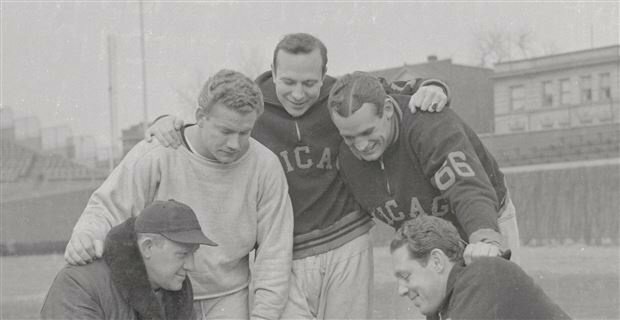 He started the Sooners off on their way to becoming a powerhouse sports team, bringing them to their first-ever Orange Bowl Game. 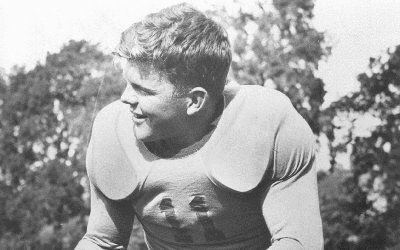 After playing for the NFL’s Brooklyn Dodgers (yes, they were a football team, too), he signed on to fly B-24 Liberators over Europe and B-29 Superfortresses over Japan during World War II. 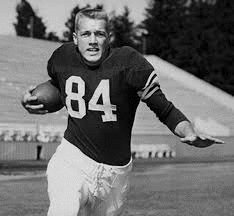 On Jan. 9, 1945, the legendary athlete was killed in a plane crash during a run over Tokyo. The All-Pro tackle joined the Army in 1943, despite being much too tall to conform to standards. The 6’6″ literal giant broke the Army’s grenade throwing record before being shipped out to lead a platoon of troops in France in 1944. After two of his men were lost in the Vosges Mountains, he set out to find them by himself and was never heard from again. 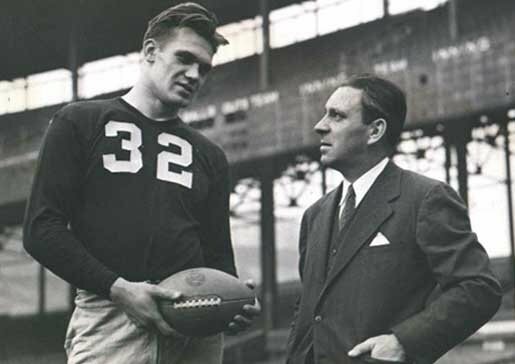 The Giants’ Jack Lummus played only nine games in his NFL career before enlisting during the 1941 season. He eventually became an officer candidate and began training with the elite Marine Raiders. Lummus was one of the first Marines to land on the island of Iwo Jima in 1945, and for two weeks directed artillery fire onto Japanese positions on Mount Suribachi. 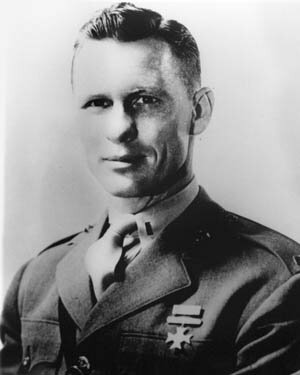 Lummus was wounded by shrapnel but managed to knock out three Japanese fortifications so his Marines could advance. The Browns’ Offensive Tackle was just one of two NFL players who died during the Vietnam War. 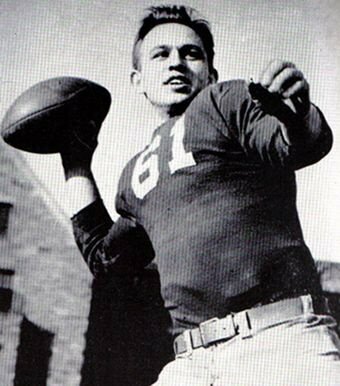 He played for Cleveland during the 1953 season where the Browns lost the championship to the Detroit Lions. 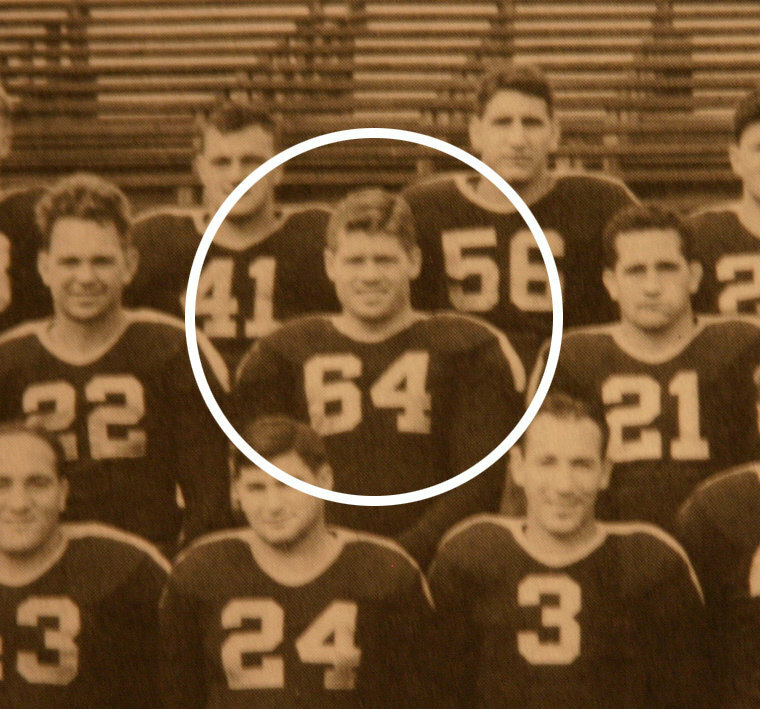 He joined the U.S. Air Force in 1954. Steinbrunner was on a defoliation mission over Vietnam in 1967 when his C-123 Provider was shot down. 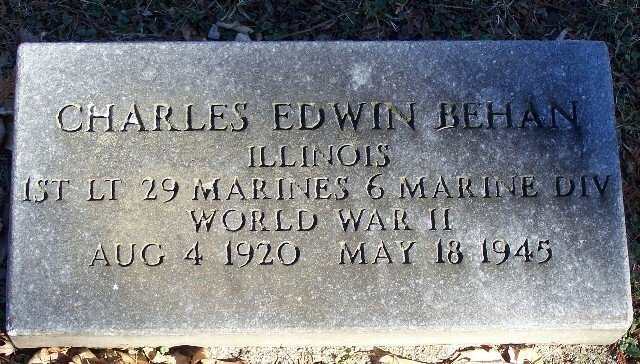 He was posthumously awarded the Distinguished Flying Cross. 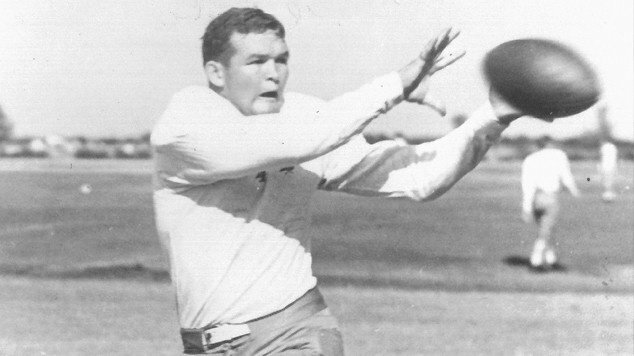 The All-American tackle was drafted in 1968 by the Buffalo Bills but went to the University of Oklahoma on an ROTC scholarship. To fulfill his obligations to the military, the Bills’ rookie of the year entered the Army as a 2nd Lieutenant with the 101st Airborne Division, landing in South Vietnam in November of 1969. 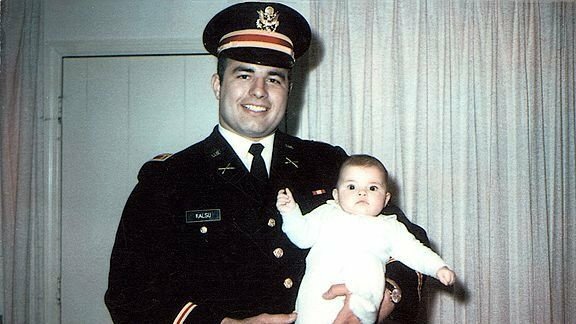 He was killed in the infamous attack on Fire Support Base Ripcord in 1970, just hours before his wife gave birth to their son back home. 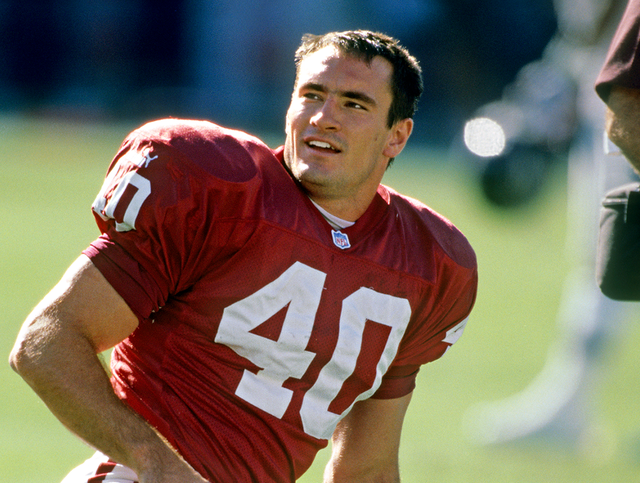 The reverberations surrounding Tillman’s death has been felt by the NFL and its players, the veteran community, nonprofits, and even college football players – to this day – honor Tillman’s spirit and memory.